Today we took a walk to Singing Beach in Manchester By The Sea. The twilight sun was so soft and made for the right amount of warmth. Cole was still tentative around the water but seemed to enjoy the water washing by his feet. 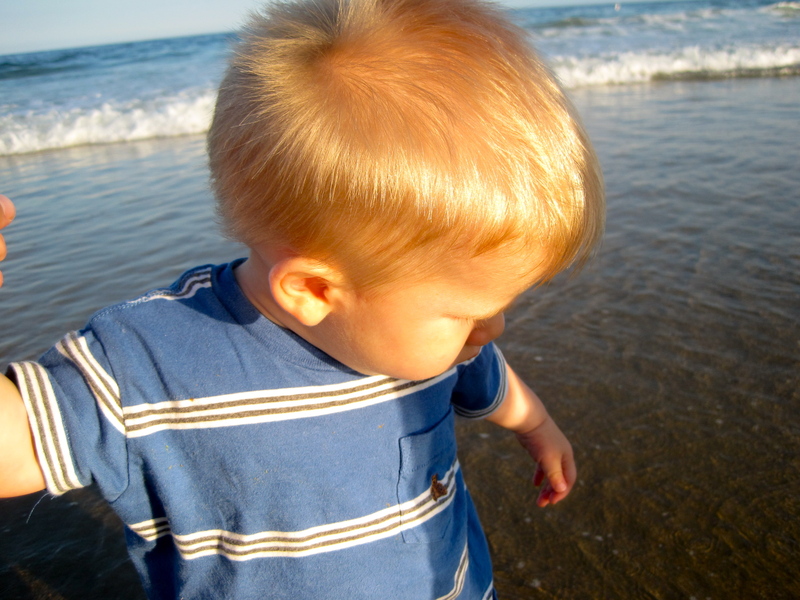 Walking down the beach with Liza, both of us holding hands with Cole was a sweet summer moment.